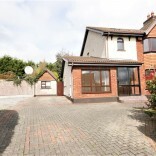 Detached bungalow set on a large site located in avondale just off the Old Tramore Road. 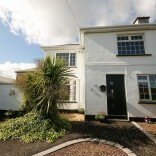 This fine property is in excellent condition throughout. 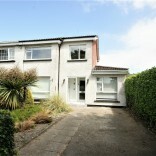 Gardens to the front provide for off street parking while the rear garden is south west facing and is not overlooked. The property benefits from gas fired central heating and the main living room has an inset solid fuel stove and Upvc double glazed windows. 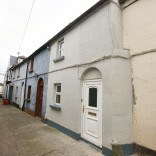 Close to schools shops and Waterford city centre. 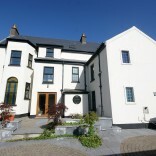 Accommodation Comprises: Entrance Hallway: (1.62m X 3.38m) timber floors, single panel radiator. 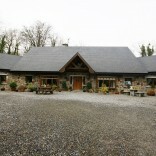 Living Room: (3.75m X 3,48m) Timber floor, Feature fire with inset solid fuel stove PVC Window overlooks the front garden. Kitchen Diner: (2.9m X 7.15m)timber floor and ceramic tiled floor, Fitted Kitchen with base and wall mounted units. French doors enter onto the private rear garden,. Bedroom 1: (2.8m X 3.5m) Solid Pine Floors built in Wardrobes Bedroom 2: (3.11m X 3m) Solid Pine Floors, Built in Wardrobes Bedroom 3: (2.68m X 2.98m) Solid Pine floor. Bathroom: (3.0m X 1.78m) fully tiled with bath tub, Low level WC and Wash hand basin, Access to the attic via stira stair. The rear garden has a storage shed. Viewing highly recommended.